ShopBuilt Panelized Building System is a construction technique that utilizes advanced technology, quality materials, and a controlled work environment to build wall panels and construct a durable, energy-efficient structure in less time and with reduced environmental impact. The panels are designed and manufactured to exceed local building codes and can be integrated into any design. Our ShopBuilt Panelized Walls are pre-fabricated off-site in our manufacturing facility. They are designed and manufactured to exceed local building codes. 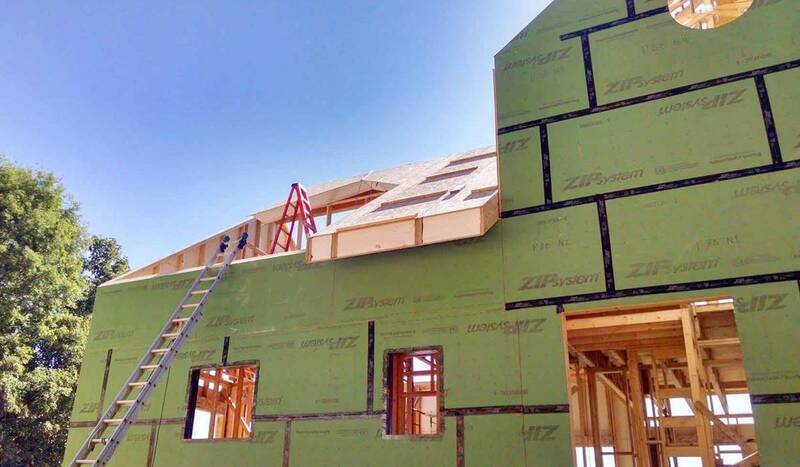 A software program maps exact measurements and provides significant raw material waste savings, down to 2% on framing materials rather than the industry standard 20% for site built construction. Every piece of wood used in the home is drawn to exact size, cut in the shop, then given a part number to be used during the wall panel manufacturing. Using staff carpenters, the walls are framed with kiln dried, 2x6 lumber and sheathed. 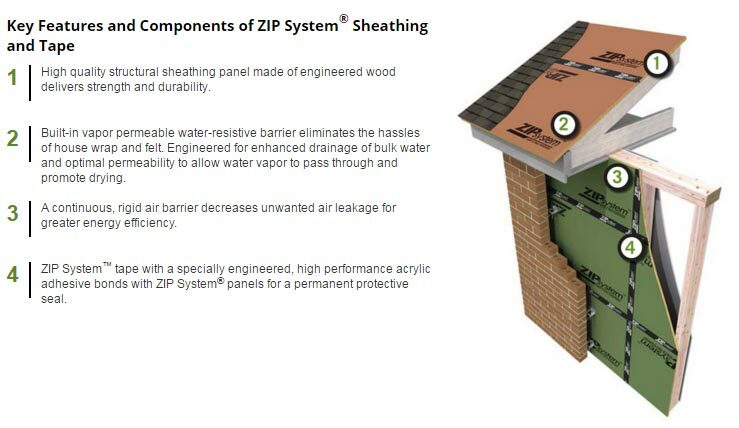 The walls are sheathed with ZIP System R-Sheathing which combines the strength and stability of a structural sheathing system with the enhanced durability of the product's water-resistive barrier. A rain screen is used outside of the sheathing allowing any moisture that may find its way past the siding to have an airspace to dry. Being constructed in the HCTF shop means the walls are never rained on or exposed to the elements. Electrical chases are drilled and the windows and doors are pre-installed, flashed, and taped prior to delivery and installation on site. Installing as many of the windows and doors prior to delivering the walls on site saves a tremendous amount of time particularly on sloped building sites where working from scaffolding adds time and cost to a project. 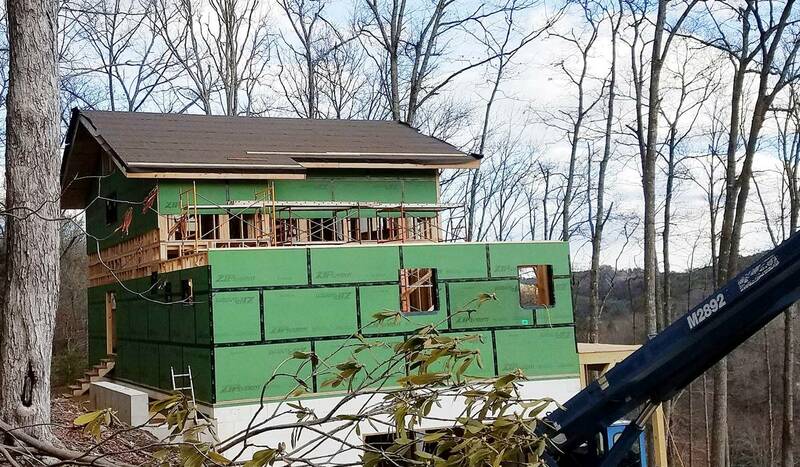 The first floor and second floor exterior walls are completely installed on the existing subfloor in a matter of hours, not weeks.